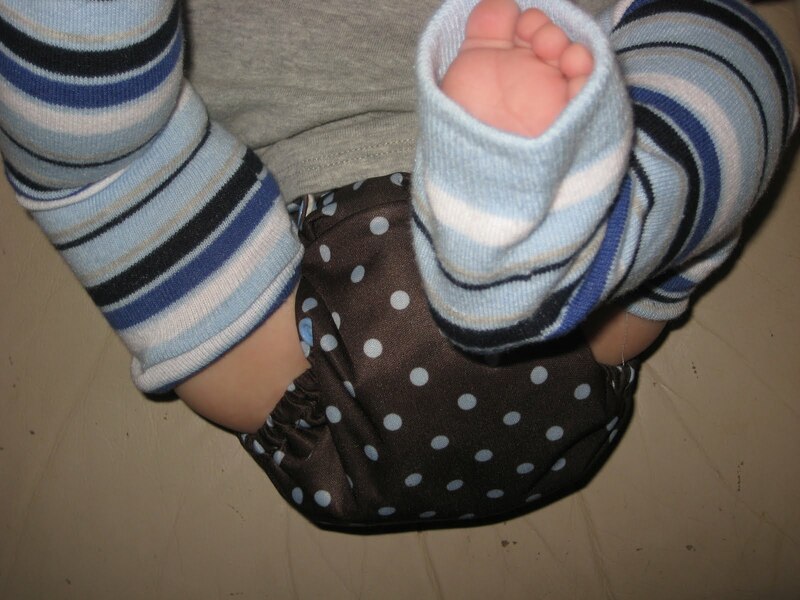 I had been eyeing BabyLegs for a while, but I really hesitated to buy any. At $12 (or more) plus shipping, per pair, I was afraid I wouldn’t like them, they wouldn’t fit etc. Plus, I was having a hard time finding a pair that would match a lot of our diapers. 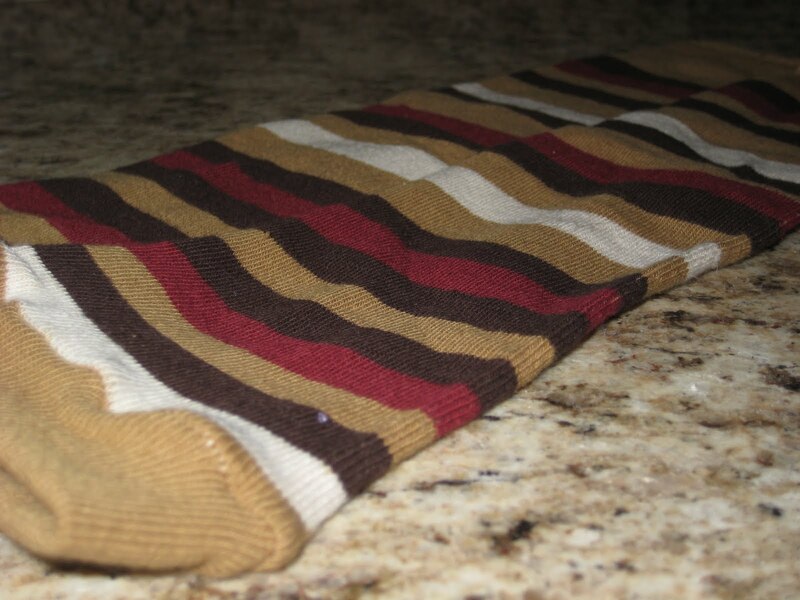 Several WAHMs make their own version of babylegs out of knee socks. When I saw the pair of “leggies” that Five in a Row had, I jumped on them. $5 including shipping? Yes please!! If you know me by now, you know I love a personal note! One end has the original, um, cuff I guess? Hem? I don’t know, what do you call that, LOL. The thing that would be at the top of your sock!! The other end has the hand sewn part where the foot used to begin. The socks are stretchy. That combined with the change in width led to a little bit of a ruffly seam inside, but you don’t notice it at all when they’re on. We usually use around 7-10 diapers in a day, so after his first change of the day (I usually don’t get him dressed first thing) I gathered up all the diapers I thought might match. Hmm, the brown & blue might not match that well. Oh well! 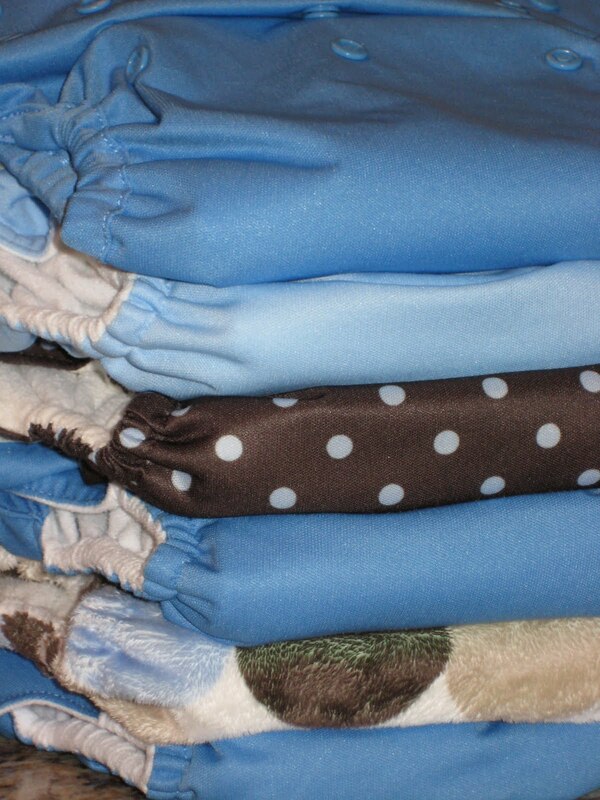 At first I tried the wider, hand-sewn end at the top, and the original, tighter end at the bottom. Yes, baby holding remote=quiet baby=Mommy can take a picture, LOL! And when it got over his foot, he yanked that puppy off! Once I turned them around (tighter end at top), they were just fine! I think they pink pair she has are adorable. I was tempted to buy them for my 5-year old to wear with skirts, but I don’t know if she would wear them! Want your own pair? 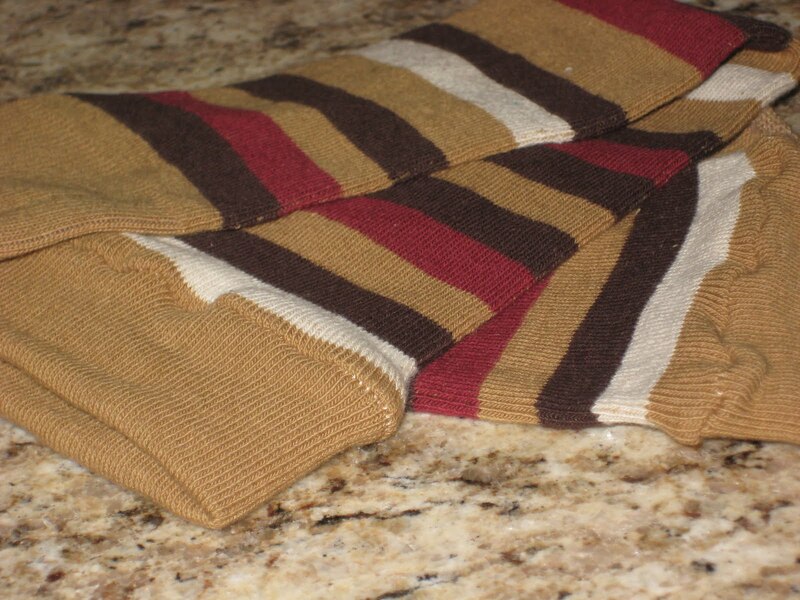 Five in a Row sent me another pair in earthy tones of tan, brown, white and maroon (I think? I’m not great at describing shades of red!) I think they would be great for either a boy or a girl, depending on what you pair them with. One lucky winner gets them! 4. Follow me on Twitter (current followers count). Comment saying you’re a follower to get your entry. Make sure you leave your email address in your comment if it’s not in your profile. I will accept entries until Saturday, April 17th, 2010 at 9 P.M., EST. >Interesting product…I'd love to give them a try! 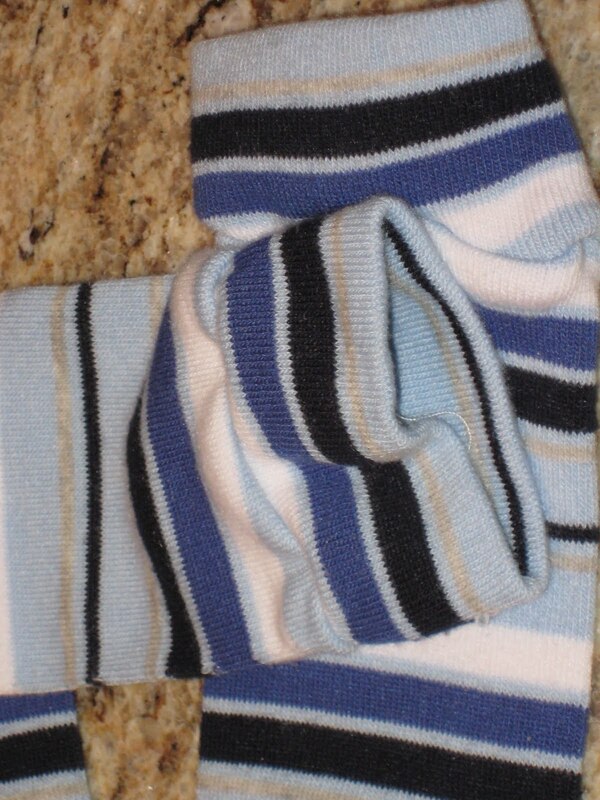 >I love the blue stripes – so cute! >would love love love a pair!! >Those are so cute. I have always wanted some too, but the price was a bit much. 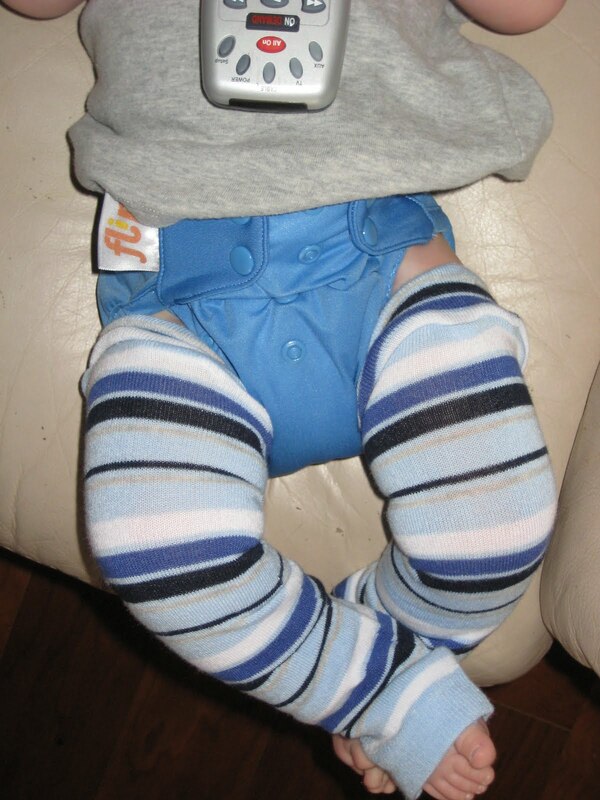 >LOVE babylegs, I'll have to check out this site! >The pink ones are so cute! >these are super adorable!! but I'm with ya'… no 12 purchase! Thanks!! >I love babylegs but can't justify spending that amount on them. So, I buy knee high socks and we make our own. Much cheaper and oh so cute! >I would love to try these. I love baby legs. They are kind of expensive, but sometimes they have them on baby steals which is a good deal and I have found some at the dollar store. >I would love to win these! =) Thanks for the giveaway! >I love babylegs, but yeah, waaaay too expensive for what they are. 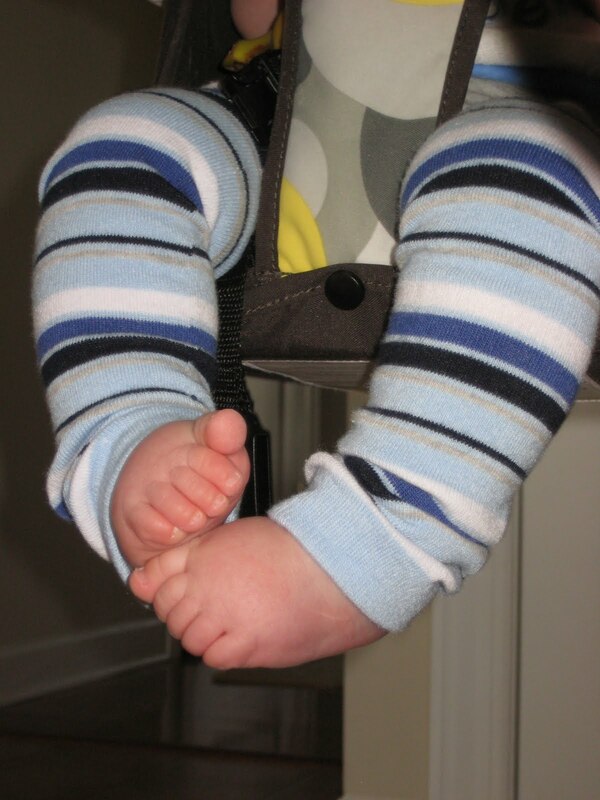 I bought "leg warmers" from target, which look a lot like babylegs, but 2 pairs unravled in the washer after a few times. I was considering making my own, but I can never find the right socks (or the time for that matter) I think those to patterns are adorable!